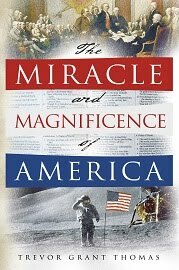 Between the colonial and Revolutionary periods of American history came what historians have dubbed the (first) “Great Awakening.” The lack of passionate Christianity, along with the coinciding adoption of certain liberal interpretations of Scripture and a turn toward the secular, greatly concerned ministers such as Jonathan Edwards, Thomas Prince, and William Cooper. The earliest principle figure of this period of spiritual revival was the brilliant and pious Puritan minister Jonathan Edwards. Edwards was literally born into Christian ministry. His father was a Congregationalist minister, and his mother, Esther Stoddard Edwards, was the daughter of renowned Massachusetts minister Solomon Stoddard. Stoddard succeeded Eleazer Mather as pastor of the Congregationalist Church in Northampton, Massachusetts. He was a firebrand of a preacher who abhorred alcohol and extravagance. Though his theology was in conflict with many contemporary Puritan leaders, Stoddard was an extremely influential religious leader in the New England area for several decades. Jonathan Edwards succeeded his grandfather as pastor of the church at Northampton. Edwards was a prolific writer as well and is recognized as one of the great intellectuals of his time. He produced such works as Freedom of the Will, The Great Christian Doctrine of Original Sin Defended, and The Life of David Brainerd, which inspired countless missionaries of the nineteenth century. Jonathan Edwards loved the pulpit, and according to BJU Press, was more teacher and preacher than pastor. In late 1734 and early 1735, revival broke out in Northampton. By the summer of 1735, it ended, but the seeds for something more lasting were planted. Enter the mighty George Whitefield. Whitefield is generally considered the “Father of the Great Awakening.” Born in England in 1714, Whitefield entered Pembroke College at Oxford at age 17. There he joined a group called the “Holy Club,” where he befriended John and Charles Wesley. John Wesley led the group, and as a result of their “methodical” ways, critics took to calling them “Methodists.” Of course, the name stuck. Upon graduating and receiving his BA, Whitefield was ordained at 22. He began his preaching in the British towns of Bath, Bristol, and Gloucester. However, he felt the call to join General Oglethorpe’s colony in Georgia. In 1738 Whitefield left for North America. Not long after arriving in Georgia, noting the hard conditions, high death rate, and an abundance of children who had lost their parents, he conceived the idea of an orphanage. For the rest of his life, Whitefield raised money for the orphanage. He also continued to preach. Whitefield’s message was one of salvation, a message which differed a bit from other Anglican ministers at the time who emphasized religiosity and moral living. It was not long before most of Georgia had heard of this young preacher with the booming voice and wild pulpit antics. News of Whitefield and his preaching soon spread throughout the colonies. In 1739, after a brief return to England in hopes of securing land and funding for the orphanage in Georgia, Whitefield came back to America and would preach throughout the colonies. Jonathan Edwards invited Whitefield to preach in Northampton, Massachusetts. Whitefield’s message resonated with rich and poor, farmers and tradesmen, church-goers and sinners—virtually everyone within earshot of Whitefield, which, according to Ben Franklin, in open space, was 30,000 people! For example, in 1750 the Rev. Jonathan Mayhew, a Harvard graduate, Congregationalist minister, and pastor of West Church in Boston, published A Discourse Concerning Unlimited Submission and Non-Resistance to the Higher Powers. Out of this was born a sermon entitled “The Morning Gun of the American Revolution.” In this, Mayhew uses Romans 13 to justify throwing off the tyrannical yoke of England. The king is as much bound by his oath not to infringe on the legal rights of the people, as the people are bound to yield subjection to him. From whence it follows that as soon as the prince sets himself above the law, he loses the king in the tyrant. If your cause is just, you may look with confidence to the Lord, and intreat him to plead it as his own. You are all my witnesses, that this is the first time of my introducing any political subject into the pulpit. At this season, however, it is not only lawful but necessary, and I willingly embrace the opportunity of declaring my opinion without any hesitation, that the cause in which America is now in arms, is the cause of justice, of liberty, and of human nature. Witherspoon was a mentor to many of America’s founders and helped to educate many future leaders of the young United States of America. Among his students included James Madison, future U.S. President and “Father of the Constitution,” Aaron Burr, future U.S. Vice President, twelve future Continental Congress members, forty-nine U.S. representatives, twenty-eight senators, three Supreme Court justices, and a secretary of state. As America’s Schoolmaster, Noah Webster, would later note, “The learned clergy…had great influence in founding the first genuine republican governments ever formed and which, with all the faults and defects of the men and their laws, were the best republican governments on earth.” In other words, “One nation under God” became the political as well as the spiritual legacy of the powerful preaching so prevalent in 18th century America. The ministry of these faithful men not only brought salvation and hope, but also helped bring rise to the greatest nation in the history of humanity.